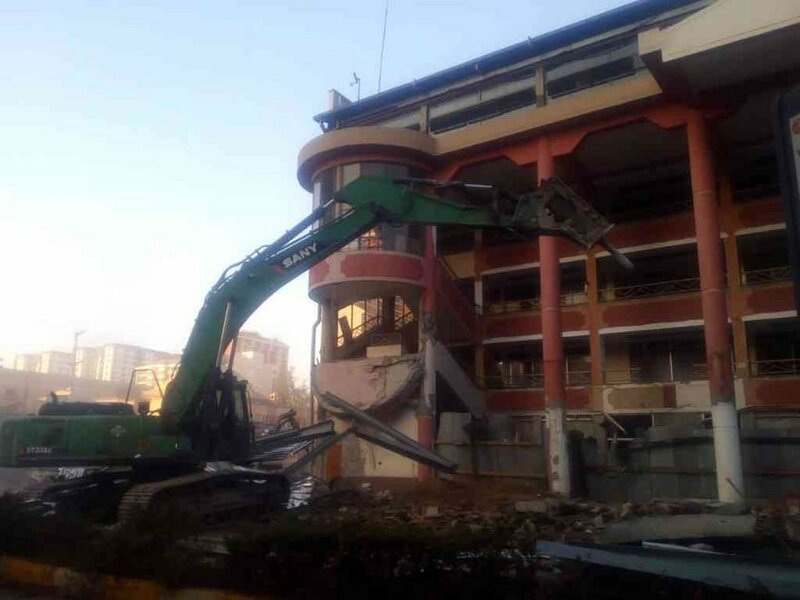 Ukay Mall demolished: The war on crooked developers has gone a notch higher. 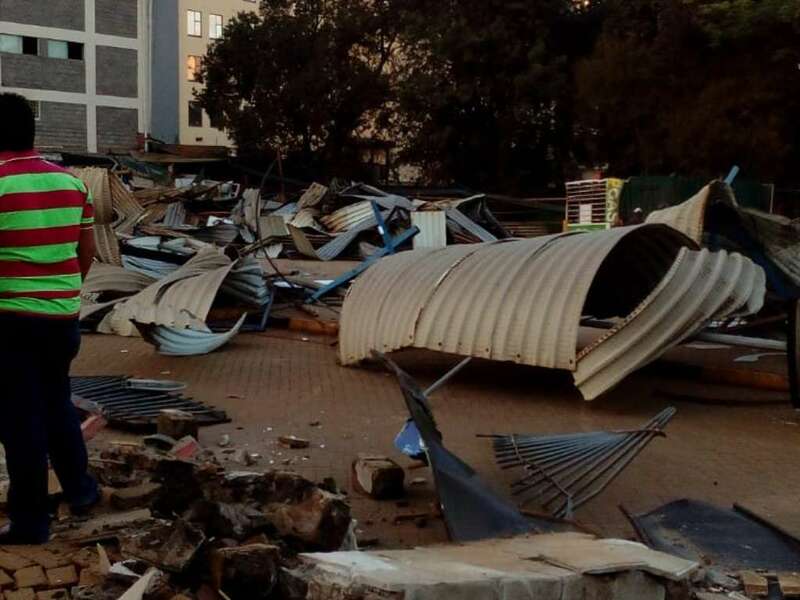 This is after the multi-agency team handling Nairobi’s regeneration started demolishing Ukay Centre in Westlands early on Friday morning, about a day after its owners went to court to prevent the destruction. According to Ukay management, the building is not put up on a river but sits 10 metres from a canalised stream. The building manager, Veeral Shah, said they adhered to all the requirements when putting up the building. Owners of the centre earlier asked the court to stop the destruction of the property worth Sh. 900 million. This is the latest demolition ina series of top buildings that have been brought down. 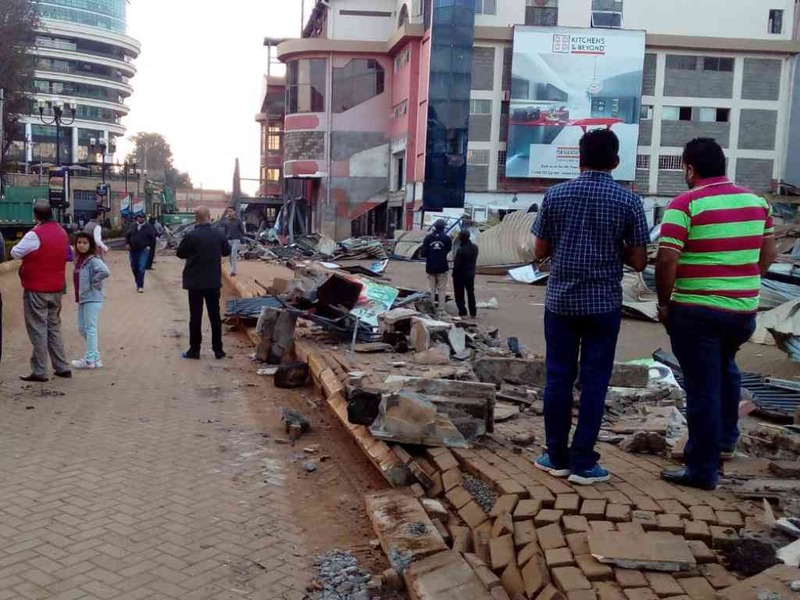 It is also expected that the Westgate Mall and Taj Apartments will also be brought down. The buildings that are coming down were built on riparian reserves. Officials who authorised the construction are also set to be prosecuted. On Thursday, Kental Enterprises Limited sued the Nairobi County government, the National Environment Management Authority (Nema), the Water Resource and Management Authority, the National Youth Service and the attorney-general. The disputed property is located near River Kinagare, a tributary of Nairobi River that flooded heavily in 2016, wreaking havoc for tenants in the mall. The matter was placed before the vacation judge for directions, which are yet to be issued.